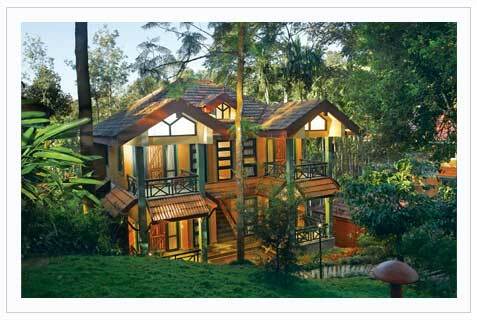 All their cottages & rooms are elegantly appointed that leave no room for disappointment. The in-house facilities include among many other things, a games parlor with pool table, table tennis, carrom, chess, darts ... etc., state-of-the-art fitness centre, an ayurvedic spa, children's play area, meticulously maintained lawn & garden and swimming pool .The service at the hotel is exceptional & unobtrusive. Taxes & service charges are included. Check – in : 1.00 p.m. Check – out : 11.00 a.m.
Bangalore to Kalpetta is 270 kms. Calicut is 75 kms from this place. Nearest Airport will be Calicut and Bangalore. You have good no.of transport options available from Bangalore.